3) explore persistent, or strategic, enterprise-wide leadership issues. The cost of developing and implementing a customized APPLIED BATTLEFIELD CONCEPTS LLC Corporate Staff Ride is $25,000-$50,000 (plus expenses) and takes 3-months to implement. 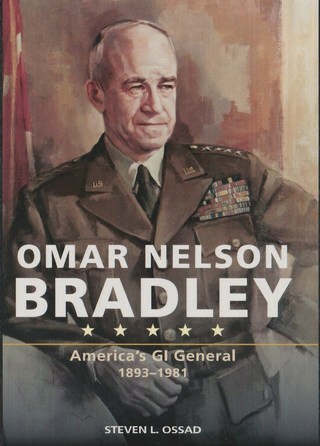 Omar Bradley rose to the pinnacle of the American military establishment and was the last of the major World War II military leaders to pass from the scene. Usually included as the last and youngest of the “five stars,” he had the most combat experience of the three American Army Group commanders in Europe during World War II and was our most important ground commander. Bradley’s postwar career ensures his legacy as one of the architects of U.S. Cold War global strategy. These latter contributions, as much as Bradley’s demonstrable World War II leadership, shaped U.S. history and culture in decisive, dramatic, and previously unexamined ways. Induction of Colonel David D. "Mickey" Marcus as a Distinguished Member of the Civil Affairs Regiment, US Army JFK Special Warfare Center and School, Fort Bragg, NC, 26 October 2017. What is a Corporate Staff Ride, What Does it Give You, How Does it Work? The Corporate Staff Ride is based on the century-old military training tool pioneered by the German General Staff and now used world-wide. Focused on the role of the corps/division commander - particularly appropriate for today's senior manager - our Corporate Staff Ride integrates the battlefield decisions and outcomes with the attendees' main interests through the case method approach. It requires no specialized knowledge - or even interest - in military affairs, only the acceptance that battles can provide useful "metaphors" for decision making under crisis conditions. As an experiential training environment, the actual ground where great conflicts took place has an immediacy and impact that is hard to duplicate in any other forum. Join Applied Battlefield Concepts LLC on a journey into the past that will help illuminate your most important concerns and expand your thinking about the future. This is accomplished through selection of a battlefield site appropriate to the purpose of the Corporate Staff Ride, the choice and order of the particular stops - including varying the stops on a previously visited battlefield - and the selection of the topics considered in the business case study workshops. With sufficient research and internal staff work - as well as advice from APPLIED BATTLEFIELD CONCEPTS LLC - most organziations can integrate the Corporate Staff Ride into existing executive management training and development programs. The cost of a developing and implementing a customized APPLIED BATTLEFIELD CONCEPTS LLC Corporate Staff Ride is $25,000-$50,000 plus expenses and takes 3-months to implement.